This was a very interesting book, marred by one significant flaw - nothing about peak oil! 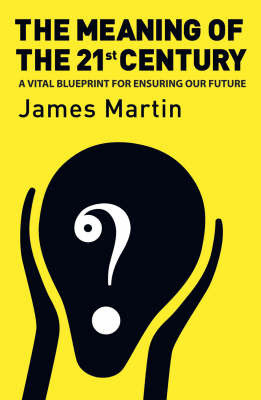 However, since the author accepts the mainstream understanding of global warming, and the vital necessity of doing something about it, many of his ideas and proposals remain robust. The main argument is quite a simple one: humanity is approaching the 21st century in the way that a canoeist approaches rapids - the river is moving faster and faster, and the situation is more and more dangerous - but in the distance, through the canyon, lies a broad and placid river. The key question is whether humanity can navigate through the canyon to get to the other side. I wish I had read this before starting my Learning Church sequence, as there is a wealth of compatible material. My qualms with Martin relate to a certain element of technological optimism (his area of strength) and a fairly superficial treatment of the ethical and religious aspects of what we are about to go through. On the whole, however, a book I would gladly recommend, especially to scientific/business people - he speaks their language. There is a video/audio broadcast available here, with the man explaining his work.